Sunshine Coast Printing has many different types of excellent indoor signs. These are great marketing instruments that can be displayed at your reception or office or at a business event. Sunshine Coast Printing’s indoor signs are also perfect for trade fairs and exhibition so come to us for the best indoors signs. 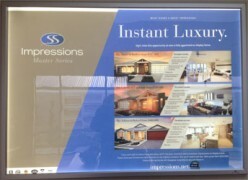 When it comes to our indoor sign there is one thing that makes us stand out, the premium quality exhibited in each of our products. The following items are some of the premium quality products we produce for the people. This is an extremely rigid lightweight foam board that ideally suited for all kinds of displays, imaging, lamination, decorative applications and 3D applications. Snap Frames are the poster used in retail, education and leisure industries. Our Budget Snap Frames are the perfect way to display and protect your signage. Save energy with our Led light box that will display your posters. This box projects lights through posters to make them stand out and visible during the night. Custom design your workspace with our unique wall paper that can be designed to incorporate your company logo and colours. 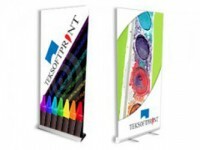 They are largely used for outdoor display purposes and serve as an important advertising tool. Light weight and portable they are the perfect on the go promotional tool. These sturdy frame developed with a cross back bone are a great option to display your business products and services.